A special 'thank you' to all the Schools and Settings that we have visited so far this year. It is a privilege to join your classes and engage with children and staff in your own learning environments. You are a constant inspiration to us. Digital Literacy is high on the educational agenda in Wales at the moment. We are delighted to share this link to a new 'Facebook Page' - DigitalLiteracyWales. Karen Workman and Louise McGrath are the creators of the page and are in the exciting position of taking 'Digital Literacy' forward across Wales (and maybe beyond!) in the Post 16 sector. We will be watching this development with interest and, of course, offering our support. If you would like further information from Karen or Louise, please email them at digitalliteracywales@gmail.com. They would be delighted to answer any questions about 'digital literacy'. Free app that allows you to make instant mini videos using 3 photos - complete with animation and text. Easy to use by both children and adults. So many possibilities for this in an educational context. Thank you to Karen Workman (Digital Literacy Wales) for alerting us to this great little app. Inspiring. Fascinating. Thought-Provoking. When architecture meets learning. Another free app (for the basic version) that is brilliant for getting characters/people to introduce a problem-based task to classes...or to inform them of a learning intention in an animated way...or for groups to make mini presentations. Photos/images can be taken within the app or imported from a camera roll. 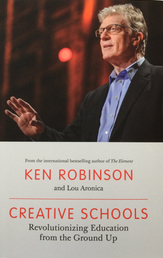 We are currently reading the recently published 'Creative Schools: Revolutionising Education from the Ground Up' by Ken Robinson...and we are already hooked. ﻿Growth Mindset Pocketbook by Barry Hymer and Mike Gershon - newest addition to our Single Steps Learning bookshelf. Great, easy read for those wanting a refresher or ﻿introduction to 'Growth Mindset' in the education setting. Foreword by Carol Dweck - endorsing the book. 'The Meeting Place' by artist Paul Day. 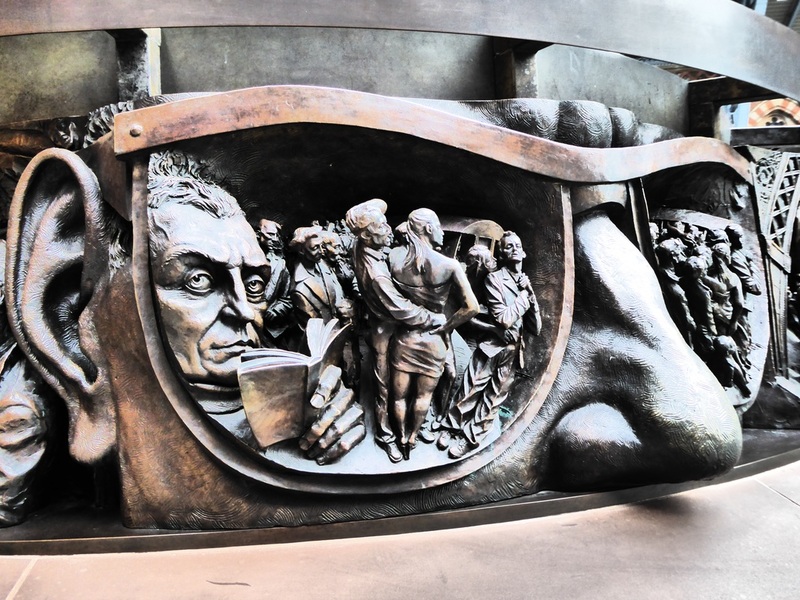 This is part of 20 tonne, 30ft bronze sculpture in St Pancras International Station, London. Worth a visit if you are in the locality. An incredible work of art. School parties are catered for specifically. It is equally a just a good day out for a family or if you are interested in the outdoors. Great photo opportunities - lots of professional and amateur wildlife photographers about the place!